Alderney's by-election candidates are split over whether a marina should be built in the island. 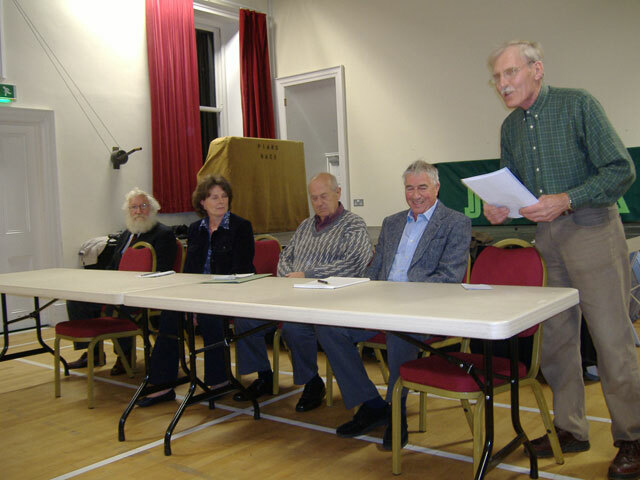 Lois FitzGerald, Martin Hunt, Tony Llewellyn and Geoffrey Sargent all took part in hustings ahead of the 11 October poll on Wednesday night at the Island Hall. Each of them answered questions on the cost of living, the smoking ban and proposed leisure centre but it was the marina which caused most debate at the gathering, which was attended by about 75 members of the public. Retired chartered engineer Tony Llewellyn, 75, spoke first on the subject. He said: 'I do not see great value in a marina. I have been told it will bring income and employment but I can't see it happening. Mr Sargent, 70, a semi-retired chartered accountant, said: 'I do think a marina will bring income to the island. A lot of people don't like coming here and tying their boat to a swinging mooring. Residents would also like to moor their boats. Mr Hunt, 66, a retired principal officer for a dog rescue society, said: 'I think talk of a marina is sheer optimism. It would be a nice facility but who is going to pay for it? Ms FitzGerald, a 63-year-old businesswoman, said: 'There needs to be a lot more discussion but we should find a way to build a marina. This is exactly the time when we should be looking for a way of building a marina. 'If we keep Alderney the way it is our income is going to keep going down and down. The by-election is being held to find a replacement for Richard Cox, who resigned from the States in May. Whoever wins the poll will hold office until the remainder of Mr Cox's term, which ends on 31 December 2010. This is the second by-election to be organised since Mr Cox's resignation after the first one, scheduled for June, failed to attract any candidates.